Acts 430 is a non-profit organization that helps to organize and fund events such as Charism Schools and Miracle Healing Services. Our goal is to help people encounter God and to develop the spiritual gifts that God has equipped his people with through the Holy Spirit. Therefore, we help promote the ministries of those who work with and foster the use of spiritual gifts. Such ministries include Damian Stayne’s ministry, Fr. Peter Hocken’s work with the Messianic Jewish Dialogue, Global Awakening, and Dr. Mary Healy’s initiatives . The Charism Schools and other conferences we promote are designed to build the faith of God’s people and to help them operate with the spiritual gifts that God gives us to be his witnesses. 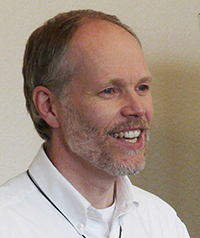 Damian Stayne — Damian founded the Cor et Lumen Christi Community 20 years ago, and has an international ministry of preaching, teaching, training and physical healing miracles. He has trained thousands of people in the charismatic gifts in five continents, and seen many thousands physically healed and filled with the Holy Spirit through his ministry. Find out more about Cor et Lumen Christi. 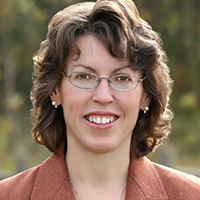 Dr. Mary Healy is professor of Sacred Scripture at Sacred Heart Major Seminary in Detroit and an international speaker on topics related to Scripture, evangelization, healing, and the spiritual life. She is a general editor of the Catholic Commentary on Sacred Scripture and author of two of its volumes, The Gospel of Mark and Hebrews. Her other books include Men and Women Are from Eden: A Study Guide to John Paul II’s Theology of the Body and Healing: Bringing the Gift of God’s Mercy to the World. Dr. Healy is chair of the Doctrinal Commission of International Catholic Charismatic Renewal Services in Rome. She serves the Pontifical Council for Promoting Christian unity as a member of the Pentecostal-Catholic International Dialogue. In 2014 Pope Francis appointed her as one of the first three women ever to serve on the Pontifical Biblical Commission. 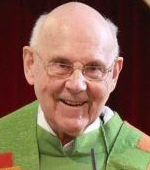 Father Peter Hocken has been active in the charismatic movement since 1971 and has served as Executive Secretary of the Society for Pentecostal Studies (1988–1997). Father Peter is a member of unofficial Catholic – Messianic Jewish dialogue from 2000. He is also a member of the Theology Commission for the International Catholic Charismatic Renewal since 2003.